Air Niugini today (Wednesday, 13th March) has extended its agreement with the Papua New Guinea Rugby Football League (PNGRFL) for another year as silver sponsors of the SP Hunters. Managing Director, Mr Alan Milne in signing the agreement today said Air Niugini as the national airline is proud and happy to be able to continue this partnership with PNGRFL. He said “ Under the agreement, Air Niugini will provide airfares for all SP PNG Hunters travel to and from Queensland as well as within Papua New Guinea. Mr Milne further said under the airline’s Higher Altitude program, Air Niugini is now more focused on customer experience and its staff like never before. He said “ It is an honour to be your airline of choice, we will do everything possible to ensure your travel to and from Queensland as well as within PNG is carried out smoothly as per our agreement. Both our organisations represent Papua New Guinea and it is only fitting to make ANG your airline of choice. PNGRFL CEO Reatau Rau said the partnership covers all the SP Hunters travels to and from Queensland during the 2019 Queensland Intrust Super Cup season. “We are grateful to our national flag carrier Air Niugini, for continuing this vital partnership for the SP PNG Hunters players and staff to travel to and from Queensland to participate in the Intrust Super Cup competition this season,” Rau said. Rau said Air Niugini will provide travel for the players and coaching staff to their home provinces in the event of emergencies and /or when the team is on a Bye. He said Air Niugini will be the carrier of choice for all visiting teams to PNG. “Part of our Participation Agreement with QRL is for PNGRFL to pay the travel costs for all visiting teams to Port Moresby,” Rau said. 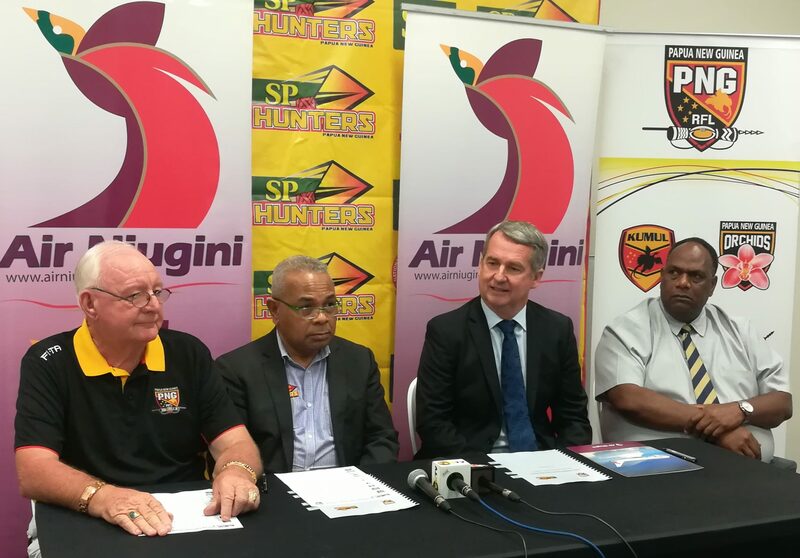 Air Niugini is a foundation partner with the SP PNG Hunters since the franchise was launched in 2014.